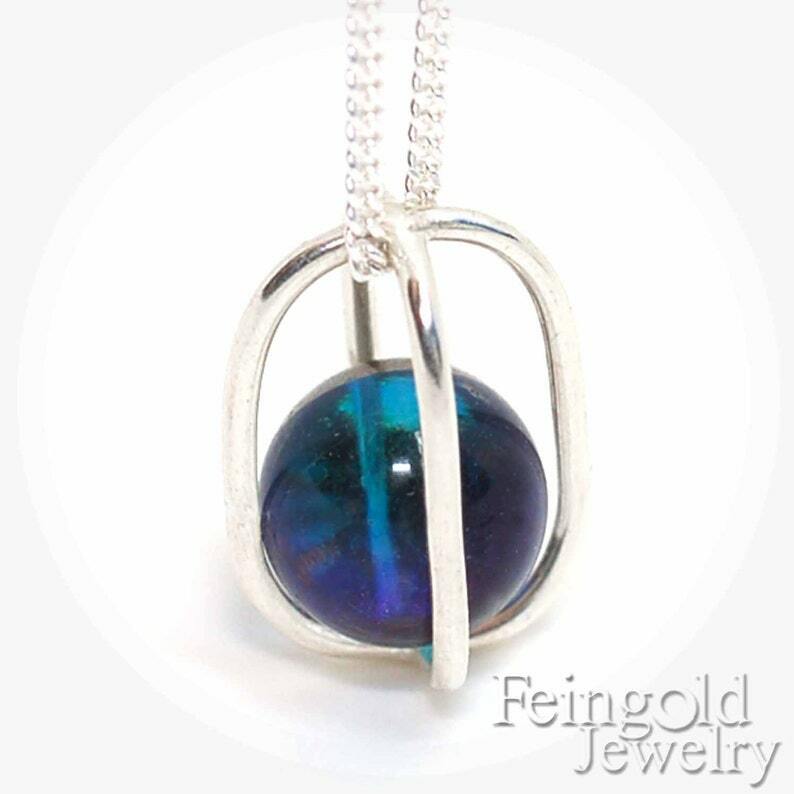 This pendant is comprised of a single polished sterling silver cradle containing a gem. The pendant comes complete with a beautiful sterling silver Italian made 18 inch chain. Please note - Due to small parts and crystal may contain lead, for adults only. As the sphere rotates, so does the look. It may look clear as water, or silver, or blue. See the photos for the look variations. These crystals are VERY RARE and once they sell out, I doubt I can find more.